In the photo we see some kind of small guest or spare room with a rather narrow table and cheap chairs of the type that can be rented for events. At the far right side there seem to be dark curtains, indicating there may be windows. Not present in the room were vice president Mike Pence, secretary of defense James Mattis and chairman of the Joint Chiefs of Staff, general Joseph Dunford, but they participated from Washington DC via secure video teleconference, according to Spicer. 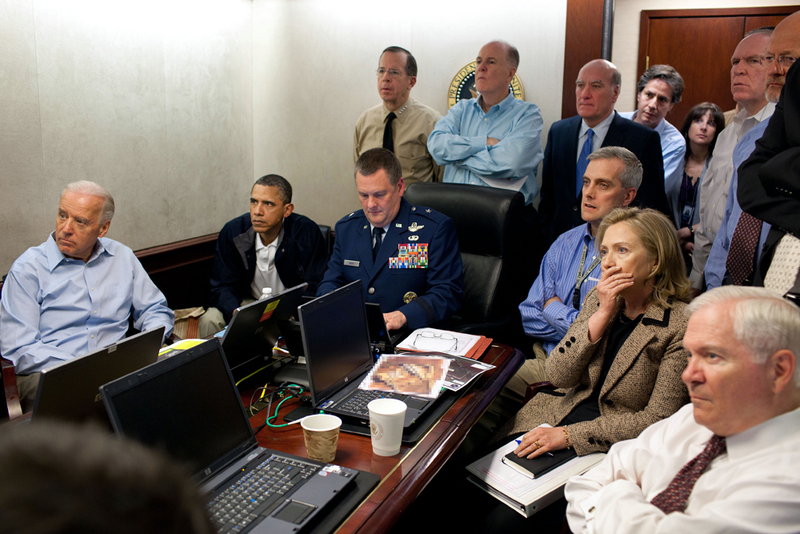 Osama bin Laden in the White House Situation Room. May 1, 2011. 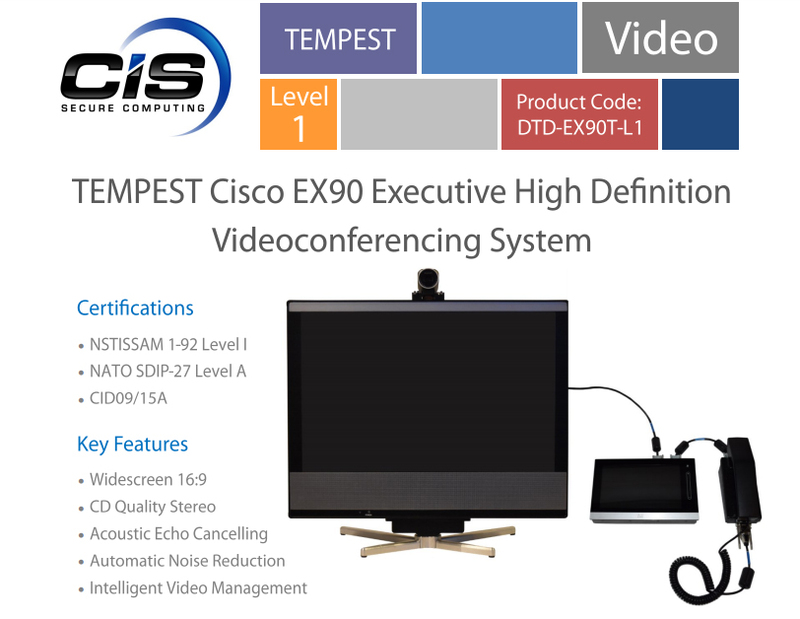 The big screen seen on the left side of the Mar-a-Lago photo can be identified as the Cisco TelePresence System EX90 with high-definition video screen, modified for TEMPEST protection by CIS Secure Computing. The system includes a smaller touchscreen device which is used to control the video teleconference calls. On the internet, there was speculation about the purpose of the mysterious devices. Some suggested that it could be small displays or microphone/speakers, but that seems less likely. Displays of that size would hardly add any useful functions and for such a small group there's no need for microphones and/or speakers in front of every participant: nowadays one single conference phone unit is sufficient for much larger conference tables (and the large Cisco EX90 screen has built-in microphones too). In a thread on Reddit, someone said that the "hardened EX90 doesnt really have good microphone pickups, so we have to run a few external microphones thru the 1/8 mini microphone jack. Now they went a little crazy with the mic's but prolly went overboard because didnt want anyone complaining about not being heard. What you see is a Mini XLR cable and Sheilded POE cable that goes from each base station to the next." However, another thread on Reddit is somewhat more in favor of jammer devices (see below). There's also no reason why there should be such a series of devices when it comes to encryption: both video and audio from the standard Cisco equipment can easily be encrypted by a single network encryptor, like from General Dynamics's TACLANE series. In this way, the Defense Information Systems Agency (DISA) provides secure video teleconferencing over its Secret (SIPRNet) and Top Secret/SCI (JWICS) networks. Another option for the black-and-white boxes is that they may not be used for picking up audio, but for masking it. With a technique called voice, speech or sound masking, a special device generates noise, preferably according to an algorithm that is adjusted to human speech. This noise is distributed through a number of emitters in order to mask the voices of people who are for example engaged in confidential conversations. 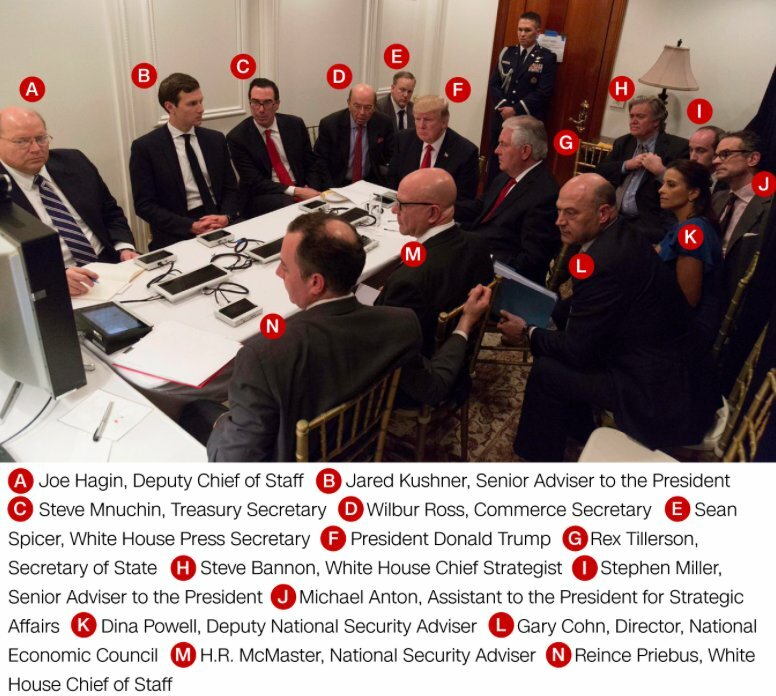 Such a purpose could explain the modular set-up of the mysterious devices in the Mar-a-Lago room: the larger ones in the middle of the table could then be for producing a standard voice masking noise, while the small ones may even be capable of adjusting the noise to the voice of that particular person. Several companies sell voice masking systems, but on their websites there aren't devices similar to those in Trump's room. So there's no proof that they are for voice masking, but maybe readers of this weblog can provide more information. Interesting is that one seller claims that their equipment uses the M2 algorithm, which is especially for US and NATO contractor companies, and US and Five Eyes(!) governments can contact the company for "further voice masking options." In the 2015 Technical Specifications for SCIF Construction (pdf) it is said that in case the normal construction of a room doesn't provide the necessary acoustic protection, "sound masking devices, in conjunction with an amplifier and speakers or transducers" can be used in order to prevent classified discussions from being overheard by unauthorized persons. the actual qualities of human speech than broadband noise is. This brings us to the security of the room in which the meeting took place. According to Trump's press secretary, the photo shows a SCIF, which stands for Sensitive Compartmented Information Facility - a room, a suite of rooms or a whole building that is protected in such a way that classified Sensitive Compartmented Information (SCI) can be stored, processed, viewed and/or discussed without being intercepted from the outside. People were wondering whether the Mar-a-Lago residence actually had such a SCIF, especially after Trump and his advisors held an "open-air situation room" meeting on the terrace of the resort, in front of club members and waiters, when North Korea fired a missile in February. And if the mysterious white devices are indeed for voice masking, that would also indicate that the room isn't fully qualified as a permanent SCIF - else there would be no need for installing such equipment. At best, this room is a (temporary) Secure Working Area (SWA), which is an accredited facility "used for discussing, handling, and/or processing SCI, but where SCI will not be stored." With Donald Trump having spent already 8 of the 11 weekends of his presidency at Mar-a-Lago, it's strange that there's apparently still no proper SCIF with solid walls and without windows, and just one door with a high-security lock - shouldn't be too difficult to construct for the real estate businessman like Trump was. 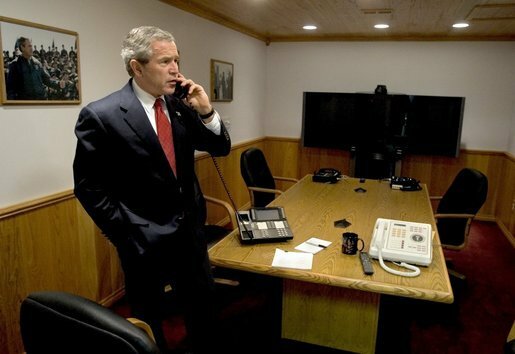 George W. Bush in the SCIF on his ranch in Texas. December 29, 2004. On the same day as the airstrike against Syria, president Trump also received the Chinese president Xi Jinping at Mar-a-Lago, which at least led to visitors of the club being warned not to use cell phones when the president was near. Also there were plenty of secret service agents around, according to local news reports. Mar-a-Lago isn't just Trump's private vacation residence, but also a club resort that is open to paying members and ticketed guests, staffed by workers without the same security clearances as White House staff, which makes the place vulnerable to infiltration and/or eavesdropping by foreign intelligence. - NBC News: What Is a SCIF and Who Uses It? 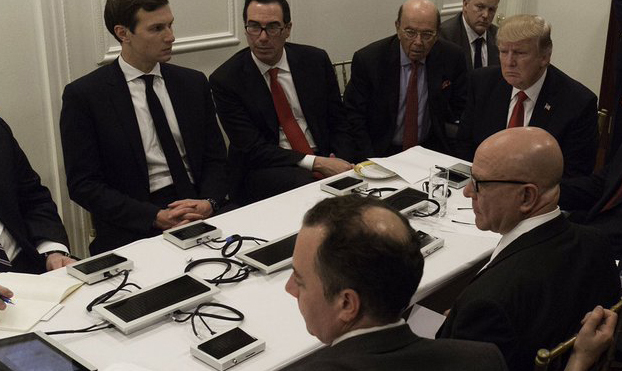 - Motherboard: What the Heck Are These Electronic Devices in Trump's Situation Room? 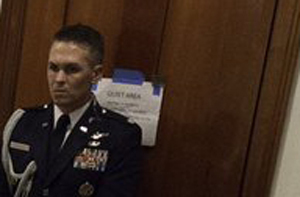 Air Force officer, named Wes Spurlock, guarding the door, carries the nuclear codes, so the boom-boom bags are likely in the crappy blue-taped temporary quiet room. So bad is the furniture, architecture and emanation sec, it is likely a stage set acting as ruse to divert from a high quality Mar a Lago SCIF, mobile or fixed. Mobile SCIFs are standard for POTUS travel: Electrospaces surely published a photo of a mobile used by Obama. Joe Tag wites: There are good comments and observations. 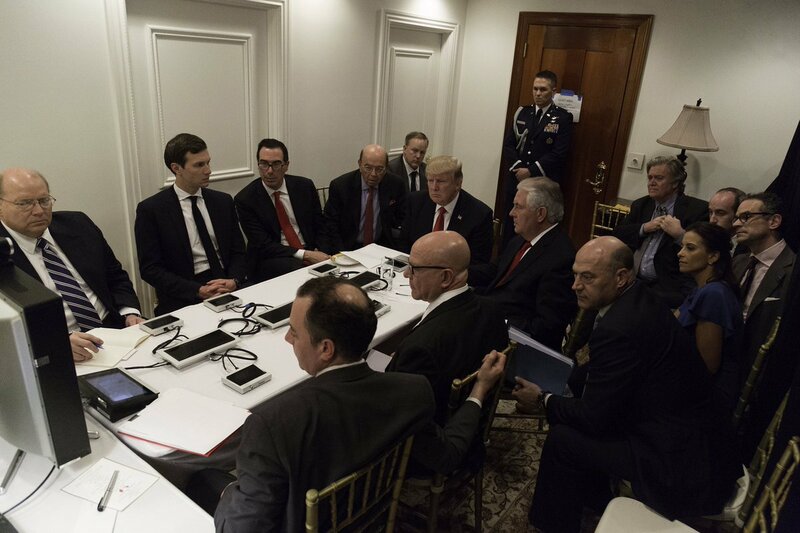 It seems reasonable, that this room is Temporary SCIF/Secure Work Area; used from a "private party room" of dining rooms at Mar-a-Lago. The use of the boxes to be voice-masking system seems logical, as the walls, door, floor, and ceiling for a restaurant would not be of quality for secure discussions. (see Noise Reducing Curve). I would have thought that the Trump Men (Dad and sons) would demolish some dining rooms, and remodel; install a new good SCIF next the Mar-a-Lago business office. Cryptome refers to SCIF-TEMPEST Tents and Booths that need a big air-gap off of all six sides. One time, Obama in one of these, did not protect the floor! Good job, good marks, everyone!! Thanks PK.